In this search result you can see, for example, that open reading frame (ORF) cDNA clones are available for two different human mRNA variants and one murine mRNA variant. You can also see the tabs for the various other types of products such as promoter clones, qPCR primers, shRNA clones, miRNA target clones, lentiviral particles, proteins, TALEN/CRISPR and TALE-TF reagents, and ORF knock-in clones. Here we will explore this extensive catalog offer using the gene NFKB1 as an example, but keep in mind the complete offer includes essentially all human and murine genes available as catalog products and any custom DNA sequence produced by a gene synthesis approach. According to the NCBI gene entry, the two mRNA variants of the gene NFKB1 differ by three nucleotides due to alternative splicing. Taking the longer variant (NM_003998.3, nuclear factor NF-kappa-B p105 subunit isoform 1) as an example, if you click on the blue Product ID F0208 in the search result, you will see a large selection of vectors. Again, in this search result you can see that there are multiple tabs representing the various vector types (mammalian expression, lentiviral, bacterial, yeast, insect, wheat germ, gateway, and budget friendly). In the mammalian expression vector category, the NFKB1 ORF is available in 36 different mammalian expression vectors depending on drug selection (Neomycin, Puromycin, or Hygromycin), N- or C-terminal tags, bicistronic (IRES) expressed proteins, and the presence of a Tev protease site. A similarly wide selection exists for the lentiviral and bacterial expression vectors, which offer different promoters, for example. The tebu-bio website currently lists more than 100,000 of these ORF expression clones, however all GeneCopoeia brand clones are available to tebu-bio customers as custom clones produced by gene synthesis, making the complete offer essentially infinite. Promoter clones are designed to serve as reporters mimicking the transcriptional activation of a specific gene. 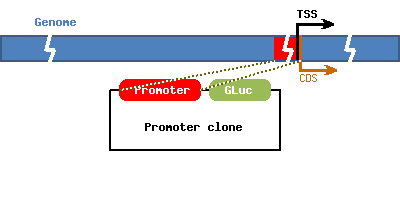 Each promoter clone contains a 1.2-1.5 kb insert, corresponding to the 5′-flanking promoter sequence located approximately 1.5 kb upstream and up to 200 bp downstream of the transcription start site (TSS) of a specific human gene. The reporter gene (luciferase or fluorescent protein) should then be under the control of the cis-acting transcription factors of the gene of interest. Here the choices are limited to which reporter gene (Gaussia luciferase, eGFP, mCherry, or tdTomato) the promoter sequence will be driving, and whether the vector contains an internal control “tracking gene”. 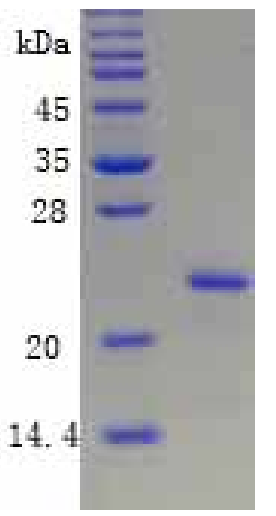 The luciferase reporter vectors should be used with one of the GeneCopoeia luciferase assay kits. The vectors are available as either transfection-ready vectors of lentiviral vectors that can be used to produce lentiviral particles using a suitable packaging kit. The tebu-bio website currently lists over 62,000 human and 18,000 murine promoter reporter clones, but as with the ORF clones the vector combinations and ability to produce custom sequences by gene synthesis mean that the potential number of clones available is in the millions. Returning to the primary search result at the top of this page and clicking on the qPCR Primers tab reveals again the choice of human or murine qPCR primers. 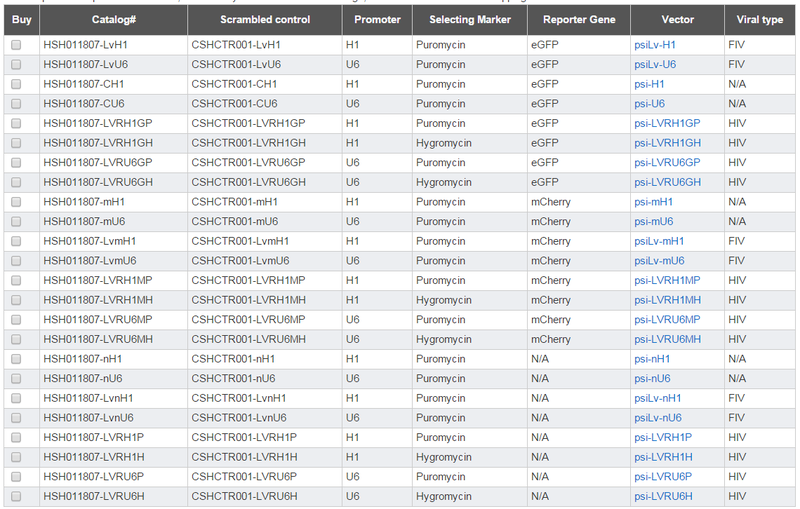 These are pre-validated primer pairs for use in SYBR green-based or similar protocols. 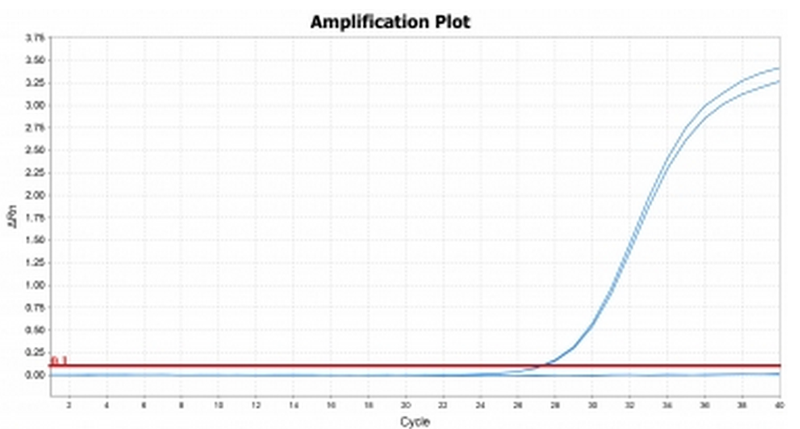 Each All-in-One™ qPCR Primer is experimentally validated to yield a single dissociation curve peak and to generate a single amplification of the correct size for the targeted gene. A cDNA Pool, containing reverse transcript products of 10 different human tissue total RNA (Lung, Liver, Testicle,Ovary, Spleno, Kidney, Placenta, Small intestine, Pancreas, Brain),was used as the qPCR validation template. The tebu-bio website currently lists over 57,000 pre-validated primer pairs for human, murine and rat mRNAs and miRNAs that should be used in combination with the All-in-One™ qPCR Mix. Custom qPCR primers are available as are custom qPCR arrays in pre-filled qPCR plates compatible with any machine. Again using the example of human NFKB1 mRNA variant 1, the GeneCopoeia brand offer of shRNA clones is a clone set of 4 different shRNA encoding plasmids. For each gene, you will receive a scrambled control shRNA vector and the 4 shRNA clones. GeneCopoeia guarantees at least one of the four constructs will have a knockdown effect of 70% or more on corresponding gene expression level as determined by qRT-PCR, otherwise the constructs will be replaced one time free of charge. As with the ORFs and Promoters, these shRNA sequences are available in a diverse range of vectors. The “shRNA clones” tab in the NFKB1 search result at the top of this page reveals the various possibilities of promoter (H1 or U6), drug selection (Puromycin or Hygromycin), reporter gene (none, EGFP, or mCherry). Continuing with our NFKB1 example, the next tab on the GeneCopoeia search page is for the miTarget clones. These clones contain a luciferase reporter gene encoded by an mRNA with the 3′ untranslated region (UTR) of the mRNA of interest. This allows the user then to study the effects of microRNAs on a particular 3’UTR with a luciferase-based assay kit. The 3’UTR clones are available as catalog products in just two vectors depending on the desired assay type. The vector pEZX-MT05 uses Gaussia luciferase as the reporter gene and includes an internal control for plasmid concentration and transfection efficiency: secreted alkaline phosphatase (SEAP) driven by a CMV promoter. As the luciferase and the SEAP are both released into the medium, this vector can be used with the Secrete Pair ™ Dual Luminiscence Assay Kit that does not require cell lysis. With this kit, the tissue culture medium can be collected in real time. 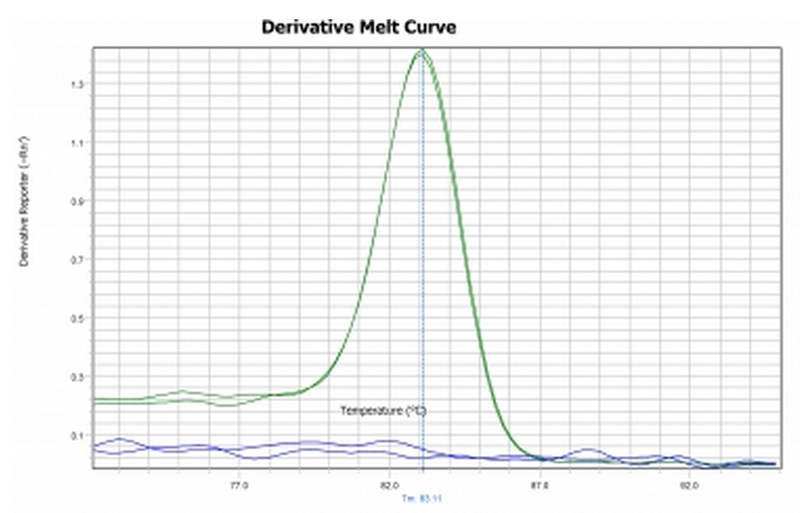 The alternative vector pEZX-MT06 is for more classical dual luciferase assays. Here firefly luciferase is the reporter gene controlled by the 3’UTR of interest and Renilla luciferase is the internal control. The assay kit for this vector, Luc-Pair™ Duo-Luciferase Assay Kit, requires cell lysis. The tebu-bio website currently lists over 54,000 miTarget clones and any custom vector is also available. 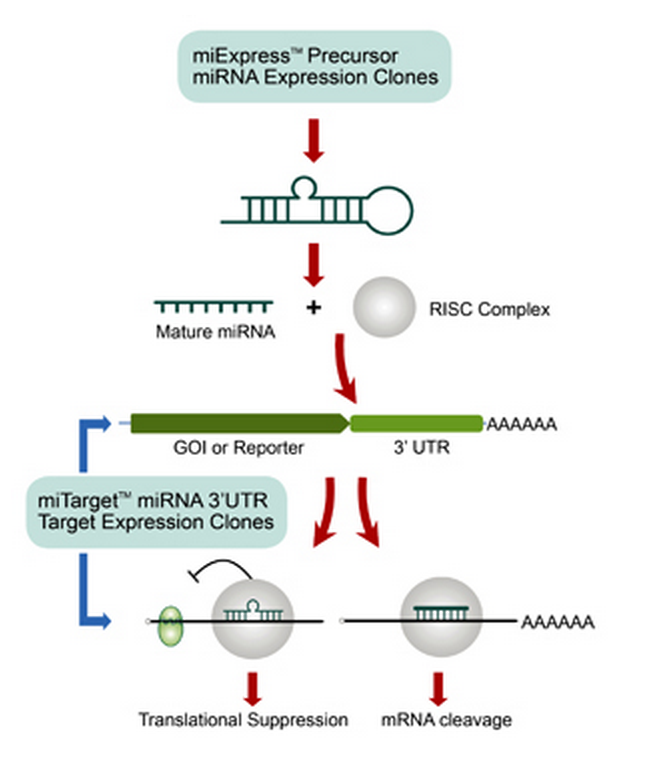 Additional GeneCopoeia miRNA products include miRNA expression clones that will produce a miRNA precursor that will be processed intracellularly into a mature miRNA to target endogenous mRNAs and miTarget clone encoded mRNAs. Search here for your favorite human or murine miRNA. The miExpress™ Precursor miRNA Expression Clones are available as catalog products in three expression vectors pEZX-MR04 for standard transfection and pEZX-MR03 or pEZX-MR01 for use with FIV or HIV lentiviral packaging kits. Also of interest, clone sets of between 22 and 1690 miRNA precursor are available. 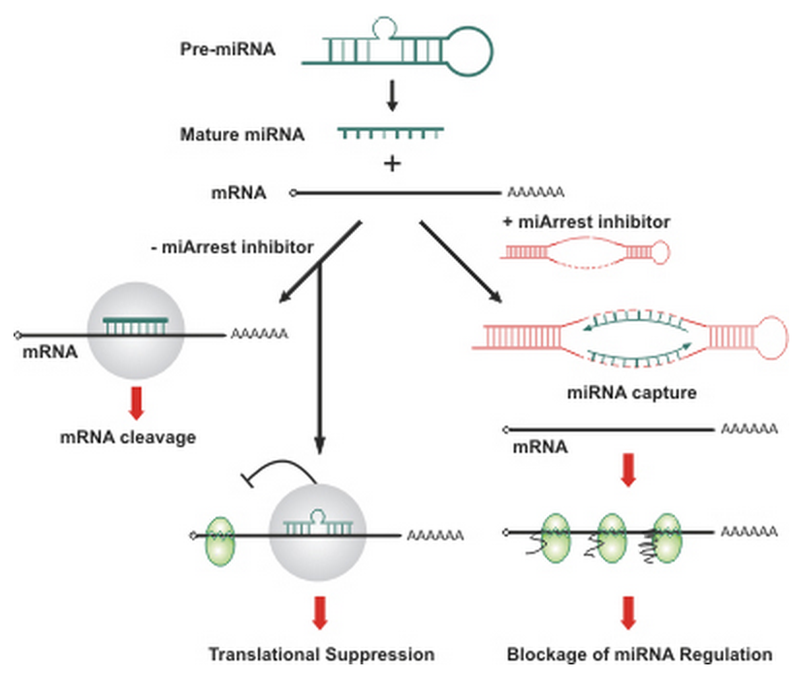 A similar collection exists for clones encoding miRNA inhibitors. Currently, the tebu-bio website lists more than 11,000 precursor miRNA clones and more than 15,000 miRNA inhibitors, and custom vectors are available upon request. Any of the GeneCopoeia clones are available in almost one hundred different lentiviral expression vectors each with a different combination of promoter, selection marker, N- and C-terminal tags, fluorescent reporters, IRES-driven drug selection, and FIV or HIV packaging system. Lentiviral particle catalog products produced from these various vectors are available for purchase. Lentifect™ purified lentivirus are available as both pre-made and custom-made. With virus titres of 10^7 – 10^9 TU/ml these particles are available in 3 different sizes: 50ul, 100ul, and 200ul. Currently only some of the more standard lentiviral particle products encoding reporter genes are present on the tebu-bio website, but the entire GeneCopoeia lentiviral particle collection is available upon request and custom lentiviral production is available. Among the various GeneCopoeia ORF clones for each human and murine mRNA are bacterial expression clones. 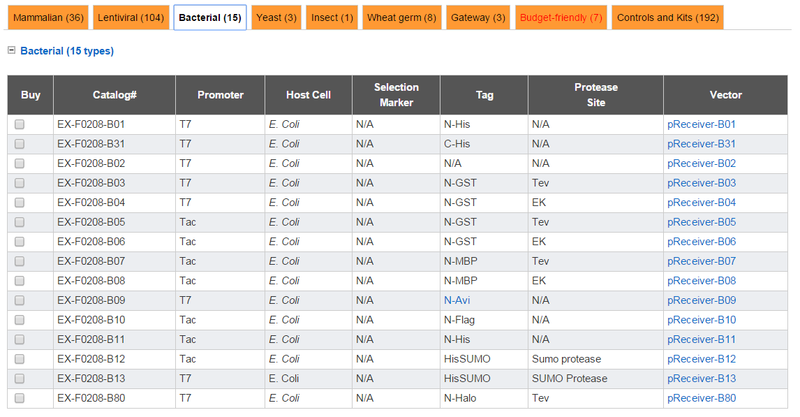 For our NFKB1 example, 15 different catalog bacterial expression clones are available for E. coli expression with choice of promoter (T7 or Tac), N- and C-terminal tag (His, GST, MBP, Avi, Flag, HisSUMO, and Halo), and protease cleavage site. tebu-bio’s complete recombinant protein offer includes all of the GeneCopoeia proteins plus proteins from a variety of sources (E. coli, 293HEK, wheat germ, and moth larvae) and the tebu-bio’s ability to produce large quantities of custom recombinant protein in our labs in France. 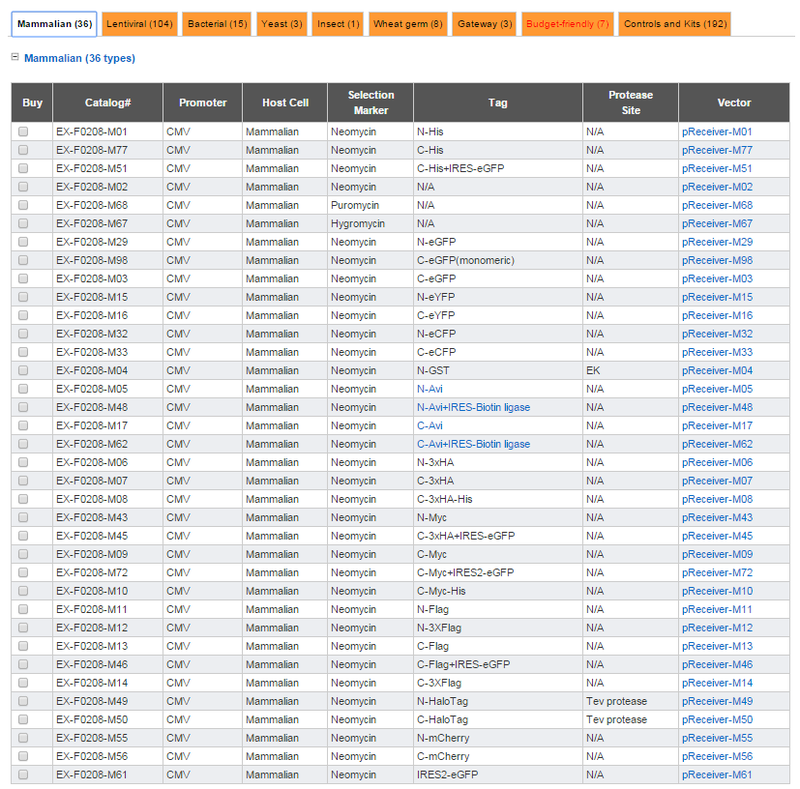 The TALEN/CRISPR tab on the GeneCopoeia search result, takes you to a nice selection of catalog products for users wishing to disrupt a gene using genome editing technologies. 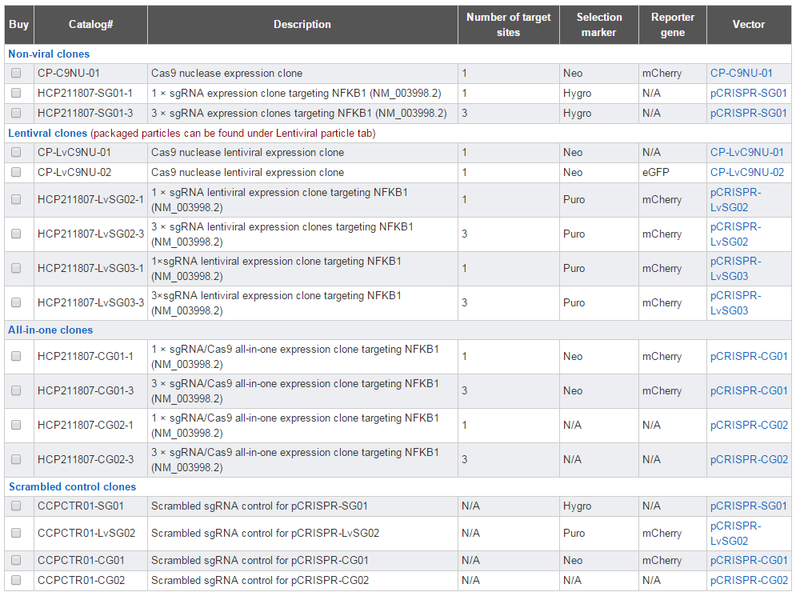 Taking the example of the NFKB1 gene again, and CRISPR products, you can see that one can purchase the Cas9 nuclease expression clone in combination with one or three pre-designed sgRNA expression clones targeting the gene. These clones are available also as sgRNA libraries and the same constructs are available as lentiviral expression clones for difficult to transfect cells. By default, the TALEN/CRISPR constructs are designed to target the protein coding-region as closely as possible to the initiator ATG of the splice variant (accession number) you select. The possibility exists to order custom designed sgRNA clones and TALEN pairs for any genome editing purpose. Combined with GeneCopoeia’s custom donor vector design, this is a complete genome editing solution. For individuals wishing to outsource their entire genome editing project, GeneCopoeia offers stable cell line generation services and transgenic mouse services. European researchers wishing to start a genome editing project or with any interest in GeneCopoeia brand products and services can contact their local tebu-bio office for more information.